I crossed paths with this wool skirt quite some time ago, and it was in need of some rescuing. 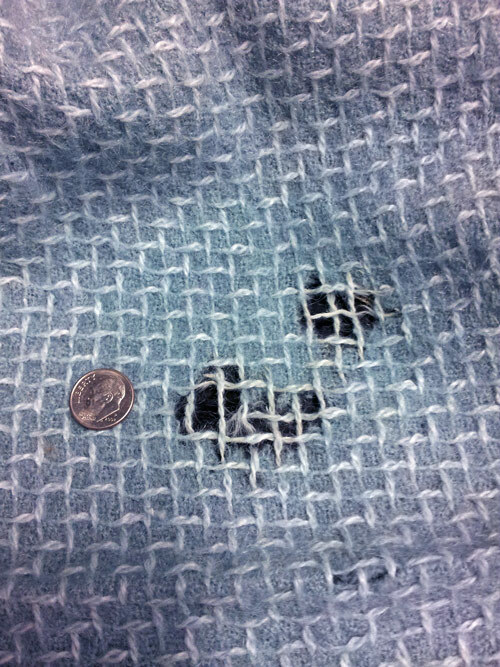 There were 2 very large holes with missing fabric, as well as wearing along the hem. The best route to fix this was by reweaving these trouble spots by hand. After I informed the customer it would never look brand new from the store, she decided to go for it. 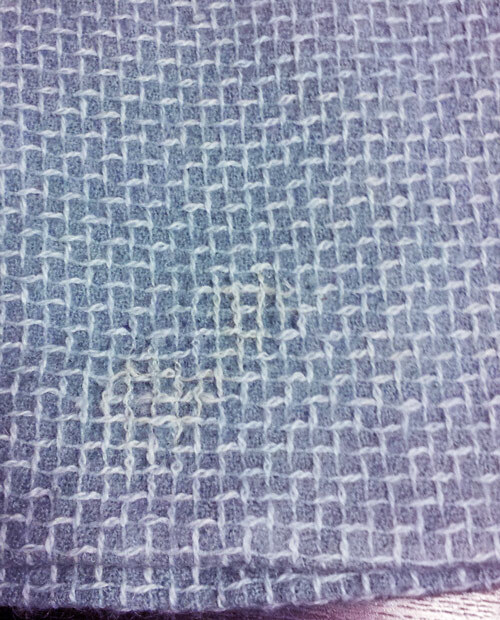 Do you have a garment with moth holes or rips that needs to be rewoven? First, get it cleaned! If there is even a slight chance that it could be a moth hole, catch it before they claim other things in your closet. Clean anything you find with holes immediately, and inspect items hanging near the problem garment as well as other items in the same closet. The not-so-friendly buggers tend to like garments with a little dirt and body oil to nibble on, so let’s not make it easier on them. In addition, I cannot risk bringing a garment with moths into my studio so head to your local dry-cleaner. 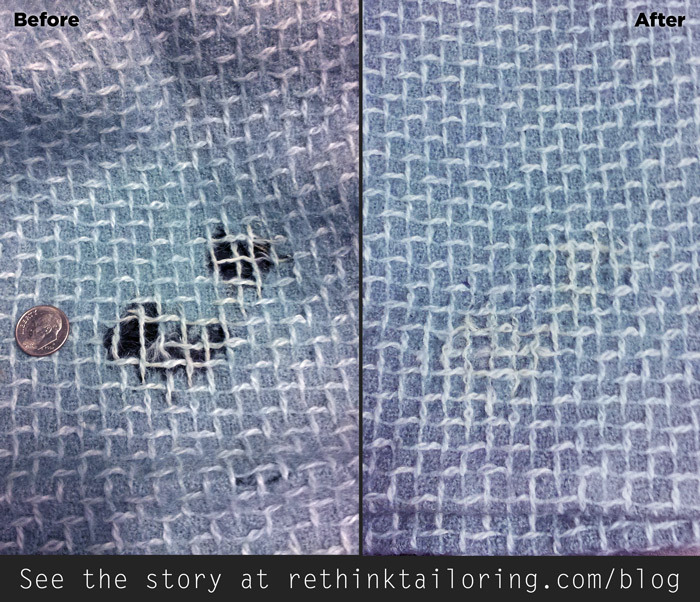 After the item has been cleaned, email me at kristen@rethinktailoring.com with a picture of the damage (coin for reference is helpful) and I will do my best to determine if reweaving or creative repair is possible.